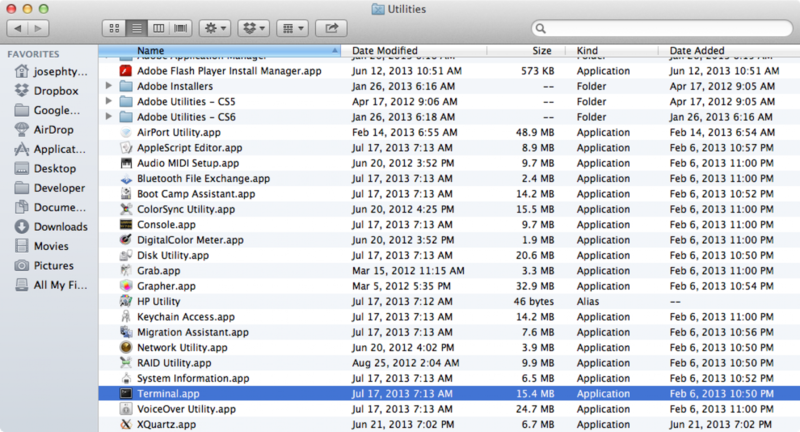 or just going to Applications -> Utilities and clicking on the Terminal icon. The -v flag means version. This will show you which version of PHP you are using. For more options to the php command you can type man php.